Don’t be fooled by the Grande or Evo models; all Puntos post-2005 are basically the same - no matter what prefix or suffix used. Don’t be fooled by the Grande or Evo models; all Puntos post-2005 are basically the same - no matter what prefix or suffix used. This third generation car can trace its roots back to 1993 when the first was introduced, and set the supermini sector alight. This latest model is slightly larger than the first, allowing the new Panda to slot beneath it in the firm’s range, but it’s still very much a Ford Fiesta and Opel Corsa competitor. Even though the Punto has only been on sale for around seven years, it’s already had a series of name changes; introduced as the Grande Punto in 2005, only four years later it was re-christened Punto Evo and was subjected to a mild facelift. 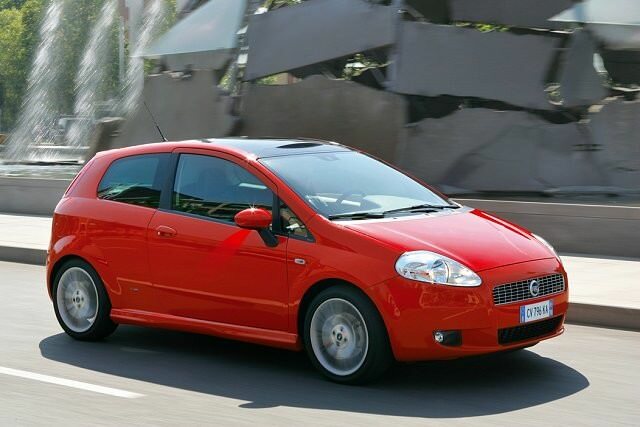 This was then dropped at the start of 2012 when another facelift saw the badging revert to simply Punto.